The role of our trip vans is to provide support and security. Although you'll feel like you are alone in the quiet countryside, we won't ever be far away and we will always be reachable on our portable phones. 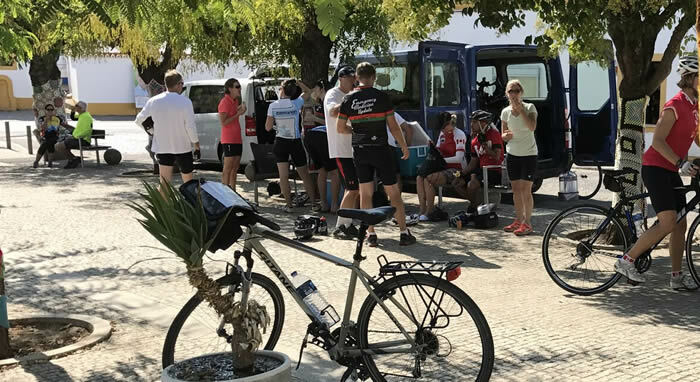 Despite the fact that we feel the best way to get the most out of the beautiful scenery we’re travelling through is by bike or on foot, we will never hesitate to give a lift upon request. Needless to say the vans will always be stocked with fresh bottled water, soft drinks and snacks. Sicily offers great biking and walking for every level of fitness. Nonetheless, if you haven't been doing any exercise for quite awhile, please remember that biking and walking are forms of physical activity. You should start thinking about preparing for the trip. Activities that involve aerobic conditioning such as swimming, biking, jogging, squash, and tennis are great overall conditioners. Stationary exercise machines are good also. One hour of aerobic activity four times a week is a good benchmark. Go out for some hikes or walks, work out at the club, take a bike ride, play some tennis, whatever suits your fancy. The better your fitness level the more you’ll get out of the active part of the trip. In general terms, choose light-weight clothing that breathes well and can be layered. Shorts are generally preferable to pants because they don't bind the knees. Some people prefer loose shorts while others enjoy the feel of spandex. It’s entirely up to you. Rain gear is important too. For walking shoes, it can be your trusty pair of runners or you may decide to treat yourself to a pair of light-weight ultra-comfortable walking shoes or boot. Brooks, Nike, Reebok, Rockport, Avia, Asahi, and Mephisto are just a few of the brand names. If you are keen walkers and are going to be walking hard and fast, then make sure you’ve got a good pair of boots that can give you adequate ankle support. The most important thing is to make sure that whatever you have on your feet is WELL BROKEN IN!! For some, biking clothes will mean a chance to haul out the old shorts and T-shirts, while for others, it will mean an opportunity to model the vast array of flashy (yet practical) clothing that now exists in the bicycle industry. The choice is yours. Frankly, the price and selection of biking accessories is much better in North America than in Europe so take a trip to your local store and ask for advice. Let's start with the most important piece of equipment in any cyclist's wardrobe - a good helmet. Our routes will avoid traffic but this is no reason not to have a helmet. There are a million reasons to temporarily lose your balance on a bike and, as a friend of ours says, “When you really need that protection, there just doesn't seem to be the time to put it on”. Bottom line - please wear a helmet. There are many different styles now available, so visit a bike shop to check out the selection. It should fit well and comfortably so that you'll wear it and it must carry the ANSI/SNELL approved sticker. We will have extra on hand for those that choose not to bring their own helmets. Cycling shorts come in two basic styles. The first looks and wears very much like a regular walking/hiking short. The best are made from cotton or cotton blends and have a padded seat, plenty of pockets and allow for a good range of movement. The second style of short is the spandex short which has caught on as a fashion item both on and off the saddle. Although originally worn only by cycling aficionados, they are practical for all types of cyclists. Look for shorts that are well padded, well sewn and fit snugly but not too tight. There is an endless range of colours and designs to choose from. It's probably also a good idea to bring a pair of spandex tights, sweat pants or warm-up pants along. They'll be handy on a cool day or for the mornings before things warm up. Again, if you want to go flashy, there are all kinds of good stretchy cycling tights that come in a variety of weights for different weather. Don’t hesitate to bring along a colourful cycling jersey or two. Layering is the way to go with the upper body. We also recommend bringing short and long sleeve T-shirts and at least one sweatshirt, turtleneck or light jacket. A good stiff sole is important to spread the pedal pressure out over your whole foot. Your footwear should be light-weight and breathe well. If you don’t have cycling shoes, a good pair of hard-soled tennis shoes will work well. If you're a more serious cyclist then you may own a pair of biking shoes (or may want to purchase a pair). The touring/mountain bike shoe is very practical because you can bike efficiently and walk comfortably when off the bike. If you have a pair of click-in pedals (Shimano, Look, Time, etc) then make sure to bring them along with you. We can install the pedals on your bike without any problem. If it rains, let's hope it is a light shower rather than an entire day of rain. They are rare. Still, you'll be more comfortable if you stay dry. New technology windproof and waterproof rain gear made of materials such as GoreTex are your best bet. A jacket or shell is the most important item to keep your torso warm and dry. You can bring along pants but they are not strictly necessary. Do not buy a poncho unless you just plan on using it for walking. Biking gloves (actually half-gloves) are padded to protect your hands from vibration, thus eliminating that "numbing" sensation that some riders experience in their palms and fingers. Very useful. Your bike will be fully equipped and ready to ride when you begin your trip. It will have a lock, rear carrier, your own personal water bottle, pump, repair kit, and front handlebar bag. Very useful. The travel program officially starts on Friday, November 1st. The group rendezvous will be at the Grand Hotel Piazza Borsa Palermo at 1:15 pm. The transfer to Verdura Resort, Sciacca will take approximately 1 1/2 hours. 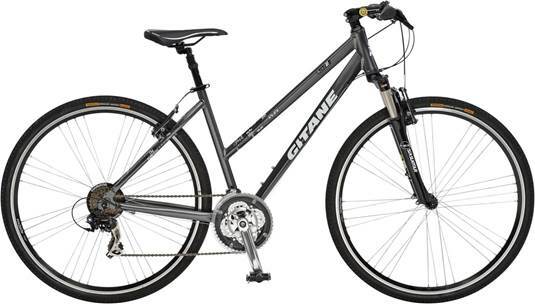 Hybrid Bikes - included in price. Top quality hybrid bikes are provided for the trip. They come in men’s and women’s versions complete with handlebar bag, tool kit, water bottle and computer. They are lightweight, equipped with shock absorbers, 27 speeds and comfortable saddles. Over the years, and over the course of hundreds of trips, we have made the decision that these upright bikes with slightly wider tires are both more comfortable and safer for our riders. Road Bikes - additional cost. For those that would like a top-quality road bikes we have arranged to rent them from a local agency. There is an extra cost of 200 euros for those who would like to have one for the week. More information will be provided on request. We know that life is busy for all of you. For that reason, we have selected, out of the countless thousands possible, only a few. If you want to read more, it might be worth tapping in your reading preference with Amazon to see what they suggest. If you are going to buy just one guide book for Sicily, make it this one. The fully updated guide includes unique cutaways, floor plans and reconstructions of the must-see sights, plus street-by-street maps of the most popular neighborhoods. It will help you to discover everything area-by-area, from local festivals and markets to the best restaurants, bars, and shops. Lots of user-friendly information on Sicilian restaurants and hotels - more than Michelin which has the red guides for that. Here the authors provide details on a whole range of places, and of course descriptions of the most important sights. One of the best general histories of Sicily published in the last twenty years. John Julius Norwich is the author of more than twenty books, including the New York Times bestseller Absolute Monarchs. He began his career in the British foreign service, but resigned his diplomatic post to become a writer. He is a former chairman of the Venice in Peril Fund and the honorary chairman of the World Monuments Fund. A solid work which, though presented as a very general series of historical and cultural facts and observations, is a very good complement to guide books and even to more detailed histories of Sicily. The city is a treasure trove of ancient monuments and works of art, combined with architecture of grand proportions. Jeremy Dummett provides the first concise history of Palermo, together with a survey of its most important monuments and sites. Published in Italy in 1958 following its author's death, The Leopard rapidly climbed the international bestseller lists in 1961. The author, a Sicilian nobleman, weaves a fabulously rich tapestry of Sicilian aristocratic life around 1860, when the unification movement interrupts more than a century of Bourbon rule by the Kings of Naples. As the Kingdom of Naples (or the Two Sicilies) comes to an end, a new order arrives, but is it nothing more than the Old Order in new clothes. An exploration of the corrupt dynamics of Christian Democracy enlivened by digressions into the art, literature and gastronomy of the Mezzogiorno. The last leg of her culinary journey (in Italy) takes the author to Sicily, specifically Siracusa, Taormina and Palermo. This detail (unfortunately) didn't make it into the film starring Julia Roberts. What sort of a list of books on Italy would lack one on food? Authoritative (it won an Italian award) and written with an eye for anecdote, it can just as profitably be browsed for pleasure as consulted for information.